Enterprise, Vendors (Suppliers), and Risk Management Professionals/Firms. 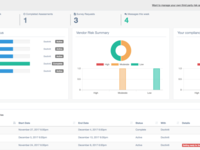 ProcessBolt is the collaborative, easy and modern way to conduct your vendor risk assessments, vendor performance assessments, vendor selection, and RFI/RFQ/RFP. By streamlining your vendor risk assessment program, you can onboard vendors faster, become more agile, and see your entire vendor landscape. 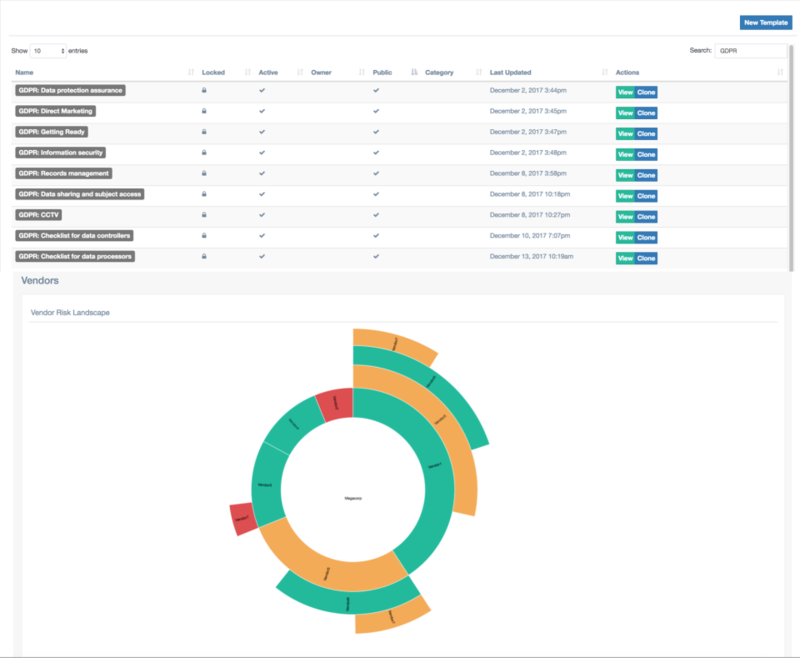 With visibility into your third and fourth party risk and compliance scores, you'll make informed decisions on where to effectively direct your focus and remediation resources. Pros: This tool has AMAZING functionality -- Process Bolt is extremely easy to use, configure, manage and scale. This is especially important for organizations that have limited resources to dedicate to vendor management. 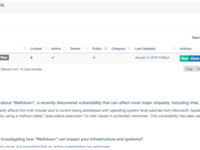 The pre-built question sets are comprehensive and highly configurable, which makes it very easy to customize and deploy risk assessments to large numbers of vendors. The visual analytics this tool produces are state of the art, and provide both primary organizations and vendors with clear, actionable information about how they rate on various risk dimensions. This information enables primary organizations to understand their level of vendor risk, and to make better / higher quality / more informed decisions about managing vendor risk. For vendors, Process Bolt provides clear direction about how to shore up their risks and improve their risk profile. The tool has an unbelievably affordable price tag -- especially for the capabilities it provides, and best of all the cost is scalable to need. I highly recommend this tool for any organization that needs to get a handle on vendor risk. Overall: Cost, scalability, and top not visual analytics. Pros: I love the workflow portion of the system. 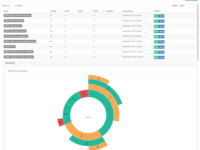 Monitoring risk and solution with visual reporting and modern dashboards. It's interactive and very quick. ProcessBolt's custom build questionnaire feature has subsequently helped to switch several of processes that required a lot of manual touch points. Everything is transparent on the platform and makes all more efficient. It actually makes people want to use the system which is great for any organization. The team at ProcessBolt is always very helpful. I would absolutely recommend the ProcessBolt, it is simple, effective, easy to use and affordable. Easy to sign up, easy to use - great for risk metrics! Pros: This is the first product I've seen that greatly simplifies the arduous process of performing supplier risk management assessments. The platform can be used to generate and distribute vendor risk questionnaires, analyze the user input, and give you a complete picture of your 3rd and even 4th party risk exposure. Cons: Innovative software is often times difficult to find; thanks to LinkedIn I came across Process Bolt and wish I had discovered it sooner. A platform like this works best if everyone uses it, so I am looking forward to greater market adoption as people begin to modernize their vendor risk management programs.